Home Transfers Spurs to swap Hutton and Bentley for Ben Foster? Spurs to swap Hutton and Bentley for Ben Foster? It’s maybe not surprising that some areas of the media are questioning the official explanation for Heurelho Gomes’ absence from the Spurs squad last night. Tottenham have said that the Brazilian was suffering from a back injury and while we wouldn’t want to question that statement, others have hinted at a smokescreen. Let’s not go over the same old ground here with Gomes – the mention of his name attracts support and condemnation in equal measure – but could the club really mislead the fans? Has there already been a precedent with Alan Hutton? Yesterday there were rumours linking two of Europe’s highly rated keepers, Manuel Neuer and Maarten Stekelenburg to the club and if Harry is aiming his sights that high then our lack of Champions League football could be put to the test. Stekelenberg is also linked with Manchester United, while Neuer is rumoured to be the answer to Arsenal’s own comedy goalkeeping crisis. That could leave us with Ben Foster who is widely linked with the club today. Suggestions are that Harry will settle for Foster, with Hutton and David Bentley going in the opposite direction. Sack Harry (I said this when he joined – worthless man), Keep Pav and get rid of VDV, Bale, Crouch, Gomez, Defoe, O’Hara, Bently, JJ, Paclios, Bassong, this should generate about £100million and then get a manager who knows how to run a team .. i.e. José Mourinho and then see us fly (oh and I hope we don’t get Europa football, let Liverpool burn out playing in the tin pot cup), these are games we should have won (MC 1 – Spurs 0) etc., but bad management, bad team selection, inactivity in two transfer windows, buying the wrong players (Pinnar when we already have a better player in Kranjcar as just one example) … No we need to change from the top down .. and that includes Levy who also needs to go… And my comments are not rubbish or anything like that, they are based on fact and not blinded like some … I see what is weak and say it as most fans are now starting to do .. few wanted Harry in the first place, most decent managers could have got us to CL it only took a bit of confidence in the players and by the players. Harry was in the right place at the right time but like MJ is a nearly man … we need the best and that will never be Harry. 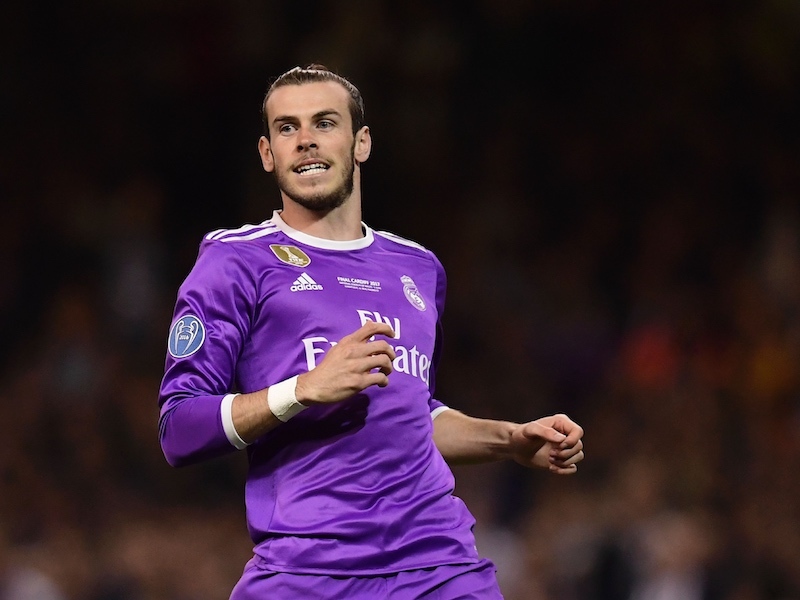 Bale cannot keep up with the hard English game and would play better in say Italy, the English sides just put 2 or 3 players on him and he is done for and played out of the game. VDV was not wanted by Real as he was (like here) a 2 min wonder who cannot even take a good free kick… how many goes does he have to have before he scores? Levy might be a good accountant but his closed cheque book policy is stopping us from getting the best players so we have to hunt the bargain basement and land up with people like Crouch, Defoe etc. that is why Harry was bought in and that is why we will never be at the top all the time because he is a bargain basement man .. We need WINNERS not ‘might be winners’. Stop shutting your eyes and hoping it will all be better next year – IT WON’T as long as we carry on like this, look at what a good manager can do – where were Liverpool at the half way point and where were we?? now what has happened … what will happen is Harry will buy Foster, Cole and most other lower team players (Parker comes to mind) or upper team rejects (Cole) … No get rid of Harry before it all goes backwards. Bentley can’t get in the side now.It’s been widely reported down here,that after Bentley walked out after not being named as a sub against Wolves,McLeish has no intention of signing him.Eck likes a harmonious dressing room.We’re also chasing Nathan Clyne from Palace.So that would rule out Hutton.Foster has been quoted as saying he’s going nowhere.He’s back in his home area and he’s very happy. Next season we should try this formation with these players …. that’s a 3-5-2 by the way …..
Hotspur 89, that is a very nice formation!! Ideally I would like us to sign – Stekelenberg, Hangeland, Parker, Agüero & Huntelaar!! (I Wish). Maybe try keep Niko, O’Hara, & Dos Santos. But I think the real problem will be shifting the deadwood, too many players on the books that aren’t good enough or should have been gone already. Keane, Bentley, Jenas, Palacios, Crouch, Pav, King, Woodgate, Hutton, Gomes!!! forget foster…. shay given would be my keeper with drogba & zamora up front – two big strong strikers who can hold up play or steam through defences. Another joke article, what makes you think that the failures from spurs are likely to interest brum. Bentley hasn’t been good enough and we already have better than hutton. There is one player at brum now who you can pick up, he’ll be going at the end of the season too ( a certain Mr Hleb) he likes to play football the ‘arry way lol. Look on the brightside you will have west ‘ams saviour back soon as well, the famous Mr Keane pmsl. the only way you may get foster is if we go down. see how he plays against you next week. & whether we do or don’t bentley is heading back down south. played well in two games and one of those was vs Cov. doesn’t work hard enough as you probably already know.